The association sued President Donald Trump, the United States, Acting Secretary of the Interior Kevin Haugrud and the Bureau of Land Management. It asks the court to declare Obama’s executive order illegal under the O&C Act and directing most of the Cascade-Siskiyou National Monument to be managed again as O&C Lands, rather than as a national monument. 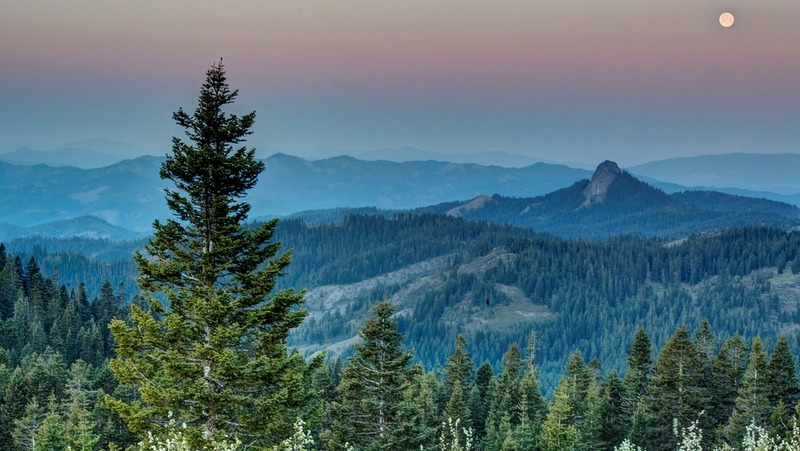 WASHINGTON (CN) – Seventeen Oregon counties have challenged President Obama’s 48,000-acre expansion of the Cascade-Siskiyou National Monument in southern Oregon, claiming the executive order prohibits logging the counties desperately need. President Bill Clinton designated the Cascade-Siskiyou National Monument of 52,000 acres straddling the California and Oregon border on June 6, 2000. Eight days before he left office this year, on Jan. 12, President Obama added 48,000 acres to the monument, prohibiting commercial timber harvest inside it. The Association of O&C Counties [Oregon & California Counties] claims the new designation violates a federal law that guarantees timber revenue to cash-strapped rural counties. Congress put millions of acres known as the O&C Lands in the hands of the Oregon and California Railroad Company in the 1860s, but took it back in 1916 because the company was unable to sell all the land to settlers. The O&C Act of 1937 directs the Bureau of Land Management to manage the O&C Lands as watersheds and regulate stream flow for salmon and as permanent timber production land for rural counties whose tax base is reduced by large swaths of federal land. The Association of O&C Counties claims that 40,000 of the 48,000 acres Obama designated overlap with land regulated under the O&C Act, which directed that the land be managed as both watershed habitat and a source of logging revenue for the 17 counties represented by the association. That directive is legally incompatible with Obama’s order to manage the monument as part of the National Landscape Conservation System, which prohibits commercial logging, according to the Feb. 13 federal complaint. The association says Obama’s order violated the intent of Congress. “The president may not, therefore, reserve those lands for a monument that prohibits the very sustained yield timber production for which the same lands were previously set aside by Congress,” the complaint states. That’s a conflict that has been dealt with in the past, according to Michael Campbell, public affairs officer for the Bureau of Land Management in Oregon and Washington. A large portion of the 52,000 acres designated by President Clinton was also made up of O&C lands, Campbell said in an interview, and none of those acres reverted to management under the O&C act. Campbell couldn’t say whether it was possible for the BLM to revert to managing the disputed land under the O&C act because the agency does not comment on pending litigation. Last summer, the association challenged the Bureau of Land Management’s first update to the 1993 Northwest Forest Plan, claiming it prioritizes conservation over logging revenue – which the association claims is also illegal under the Oregon and California Railroad Grant Lands Act of 1937. That lawsuit is pending, with the parties arguing over whether to transfer the case from Federal Court in Washington, D.C. to Oregon. The association is represented by Per Ramfjord with Stoel Rives in Portland in both cases. Ramfjord said continued timber revenue under the O&C act is crucial for the economic survival of Oregon’s rural counties. Not clear on this, was it supposed to say “sued President Obama”…don’t see any other reference to the current administration in the article?